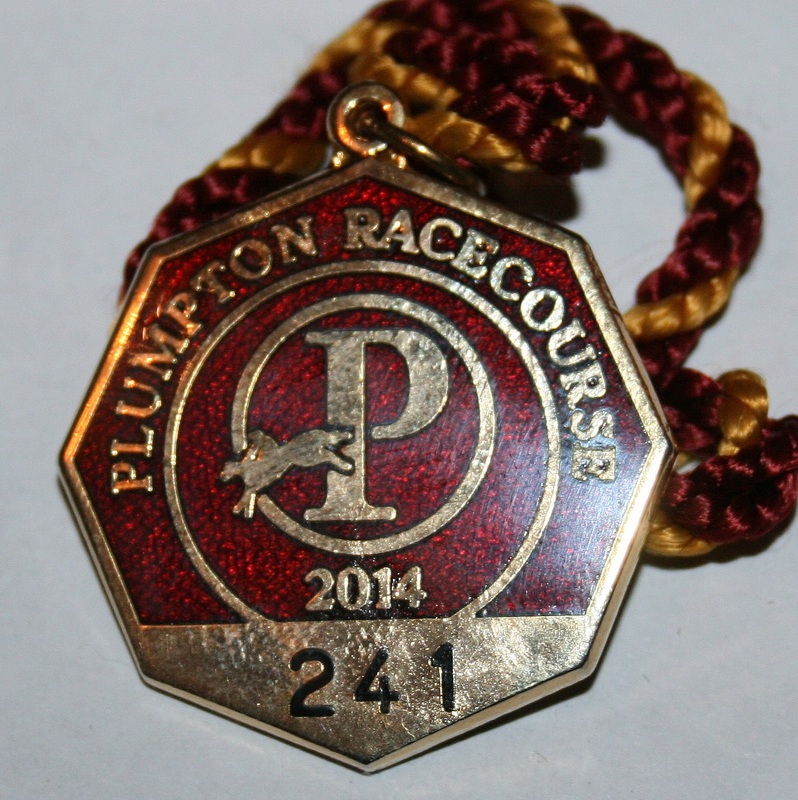 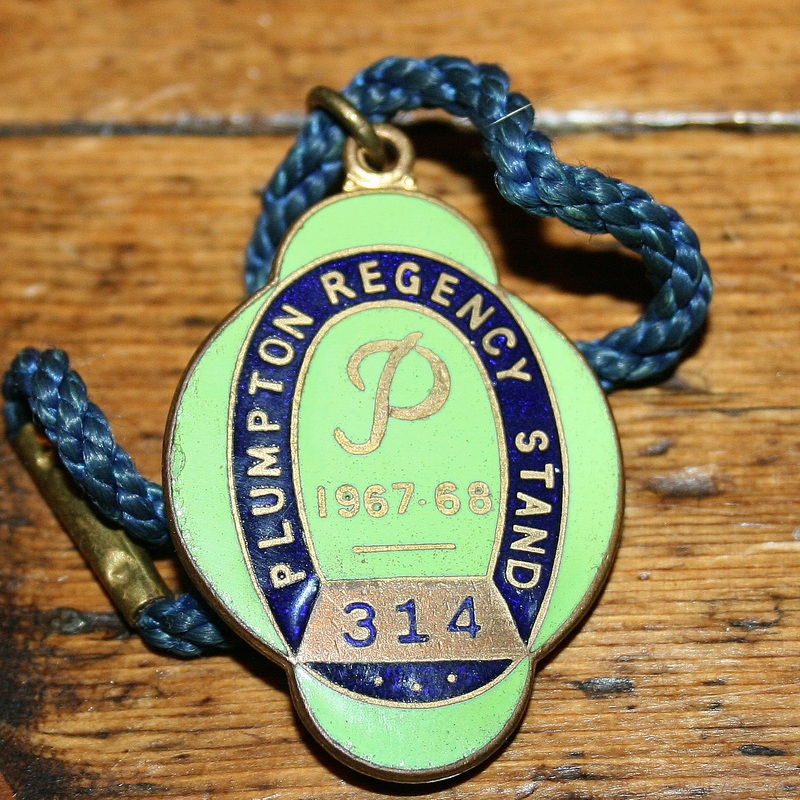 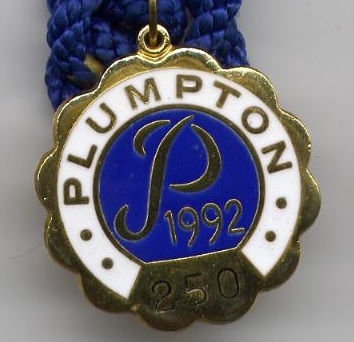 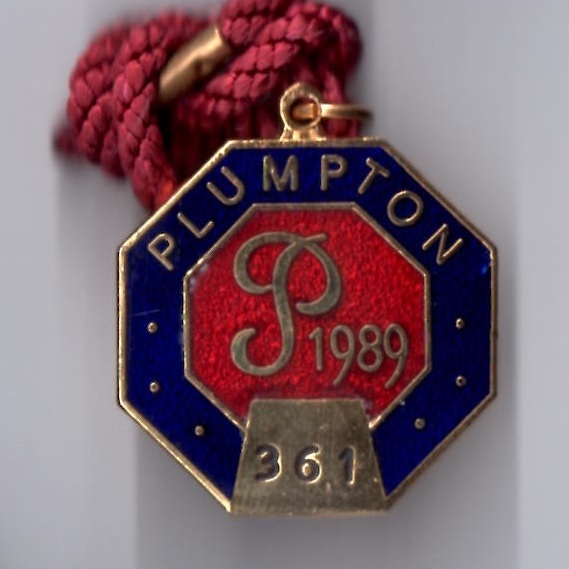 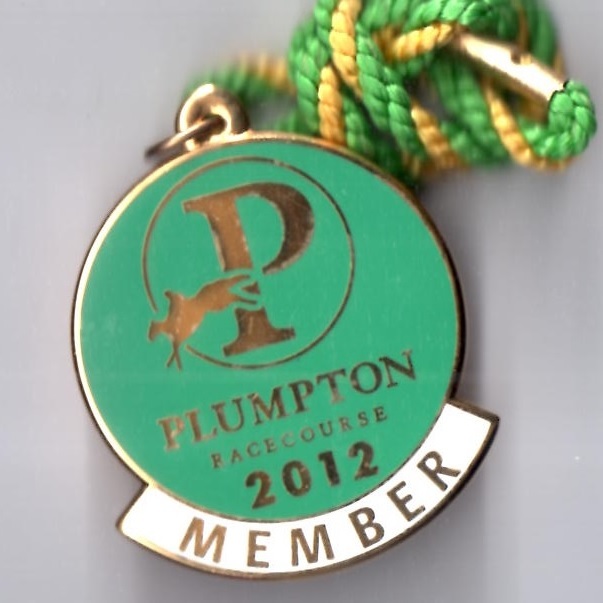 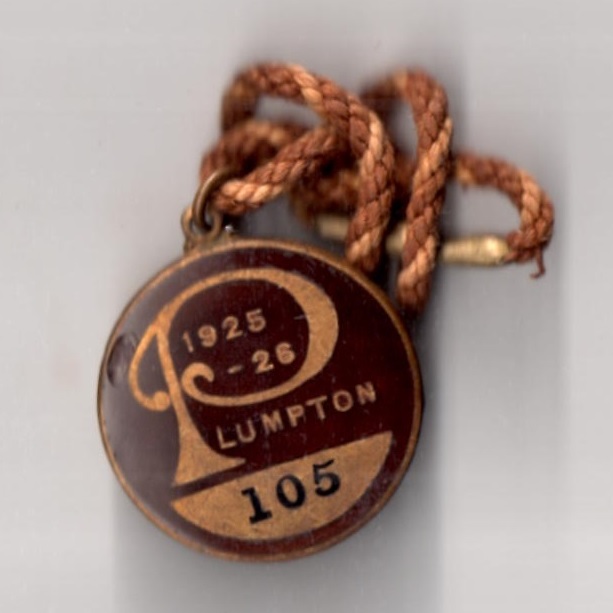 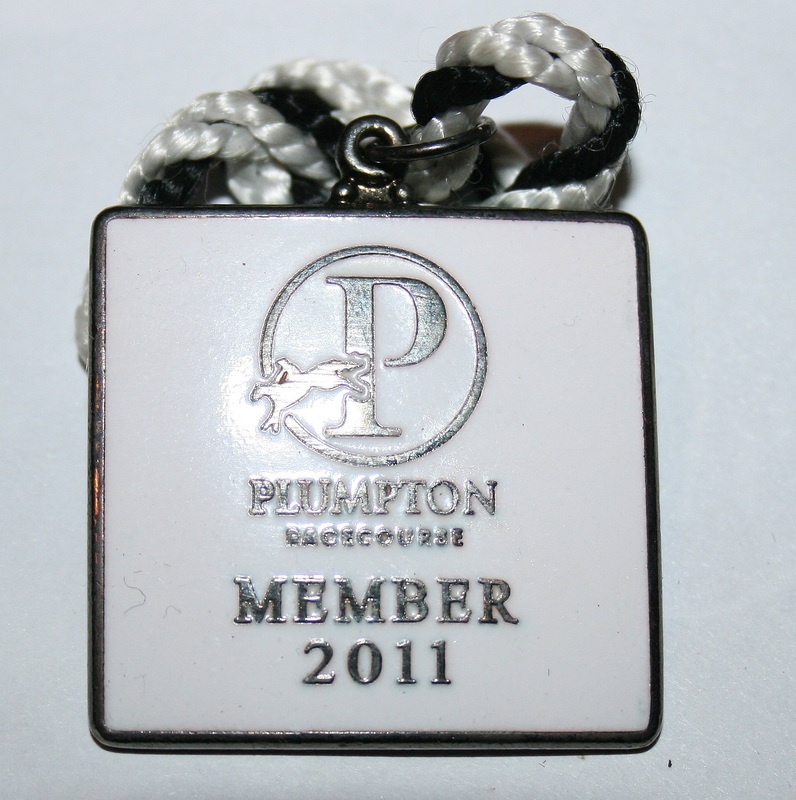 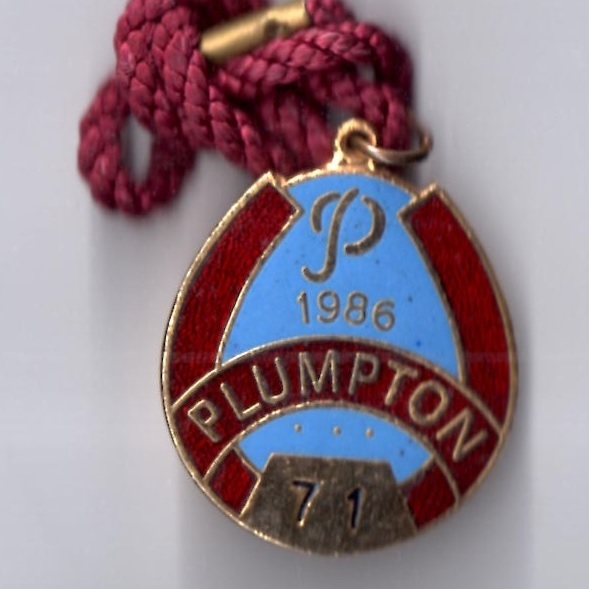 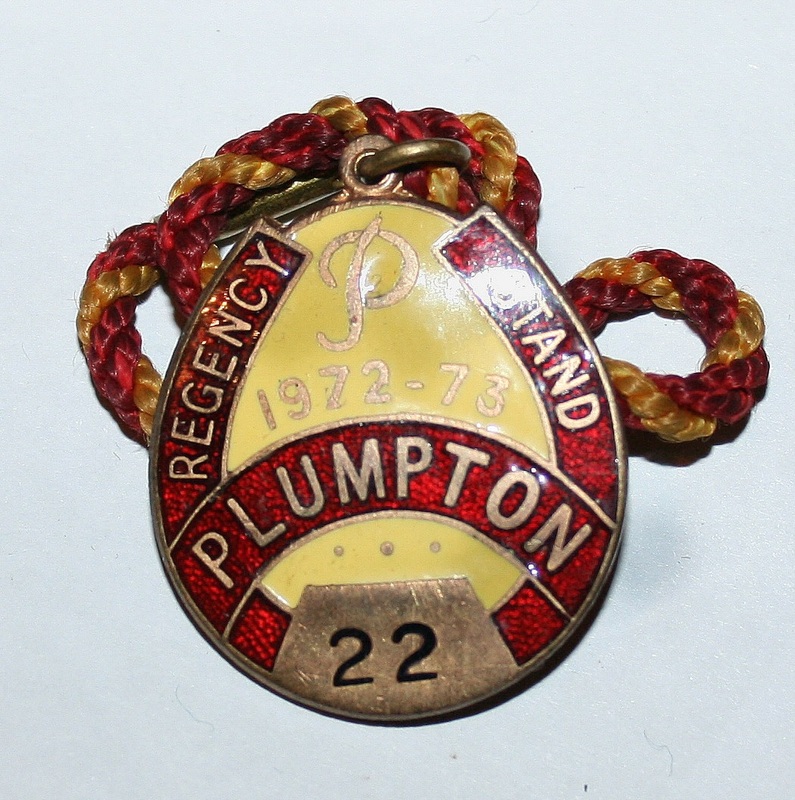 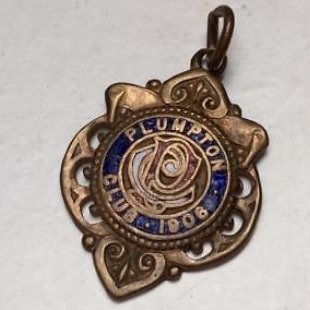 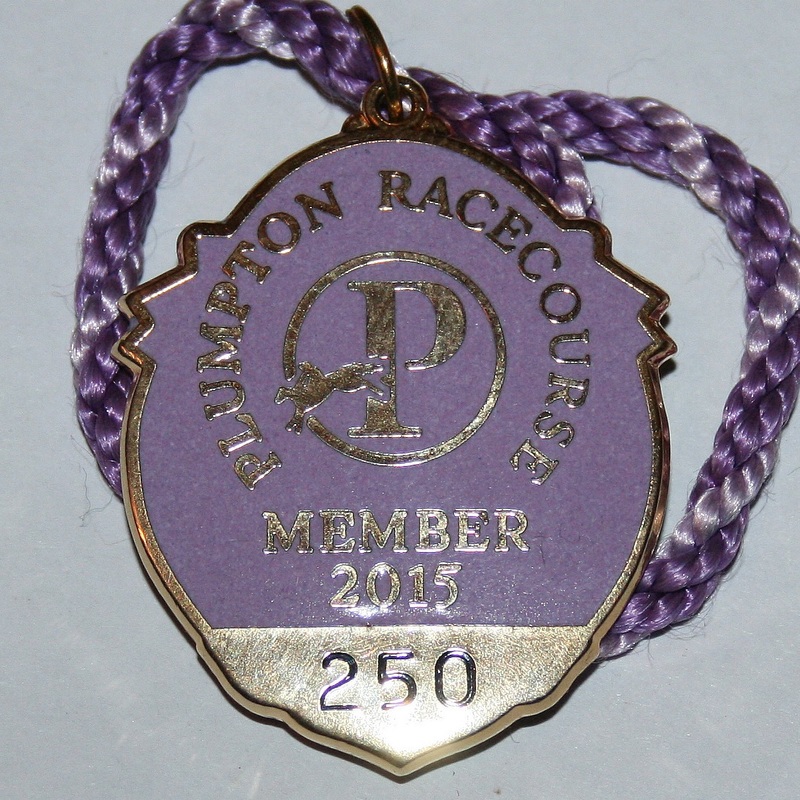 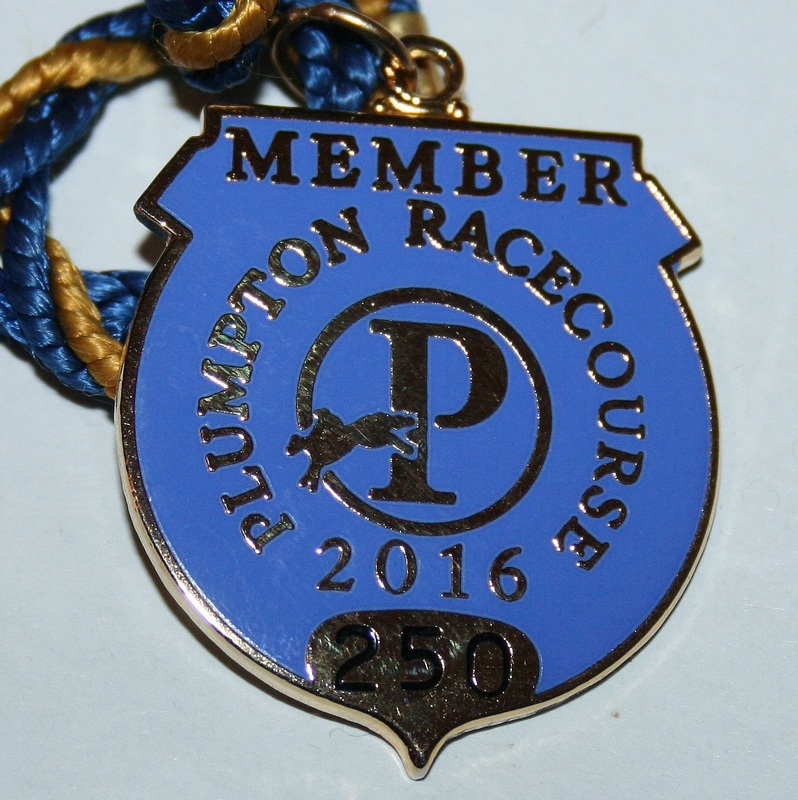 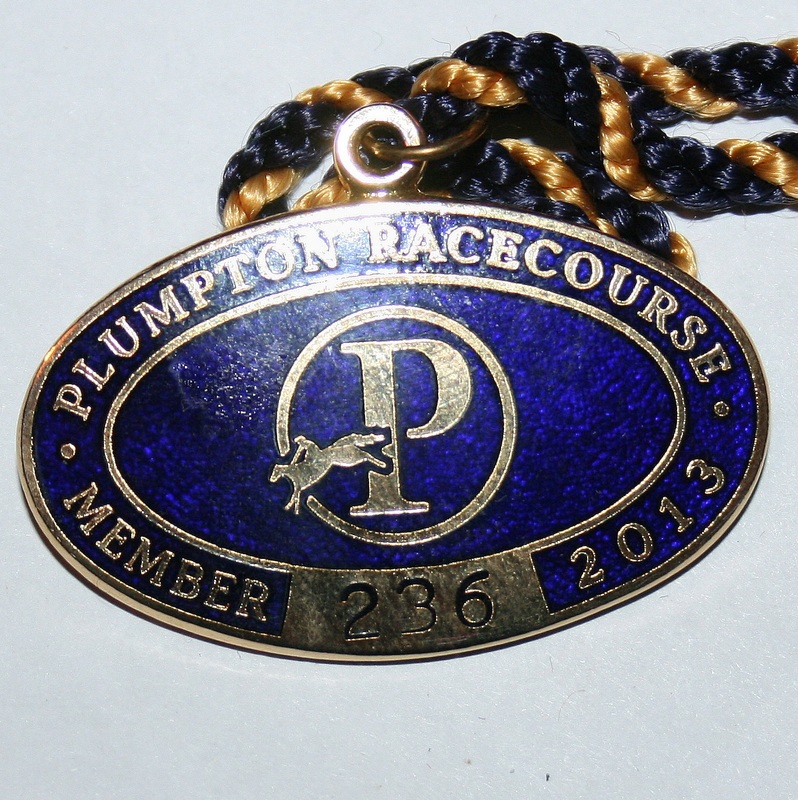 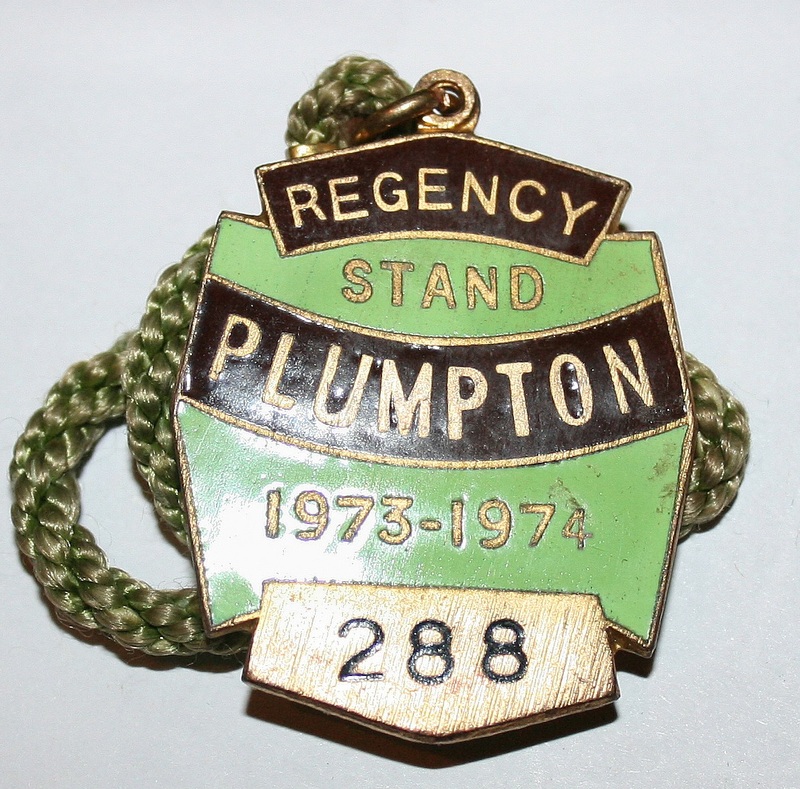 In 1876 Plumpton began as an enclosed coursing event on 28th December, although meetings were not well attended. 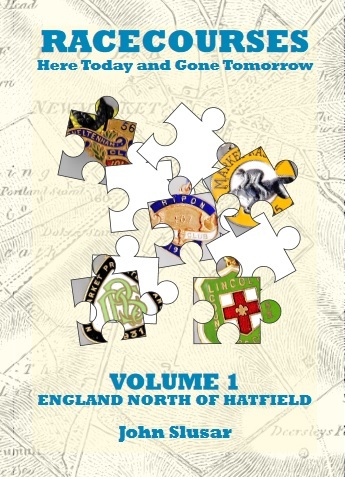 However, coursing continued to be the prime sport until 1884, although there was fierce competition from other coursing tracks opening up around the country, notably Haydock Park and Newcastle, causing the management to review their options. 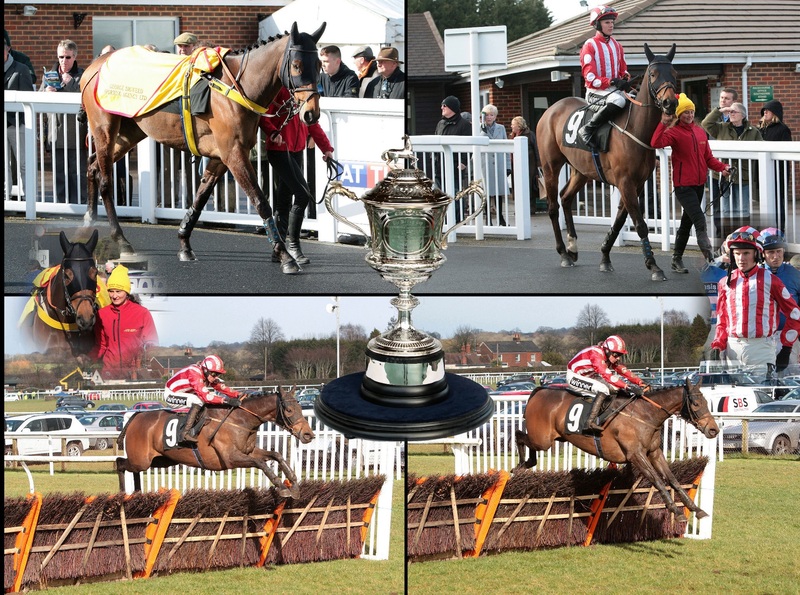 The answer they arrived at was to lay on wider entertainment and the first horse racing chase meeting took place on Monday 11th February 1884, with the Harry Escott ridden Cowslip, starting at 7/2, winning the inaugural Hunters Selling Plate by a distance. 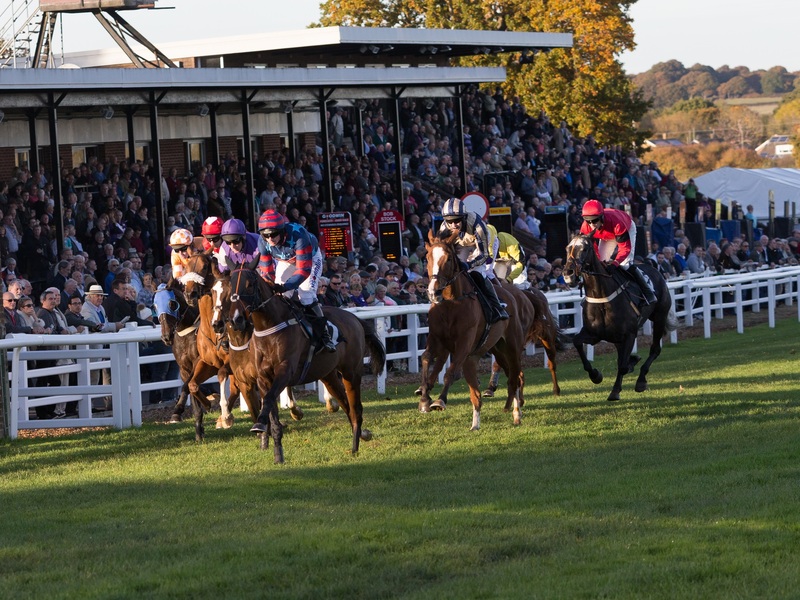 The Bristol Mercury, amongst many others, reported on the early meetings, including the card staged on Saturday 12th October 1889 which featured the October Handicap Hurdle which attracted a large field, allowing the winner, Redeemer, to go off at 10/1.  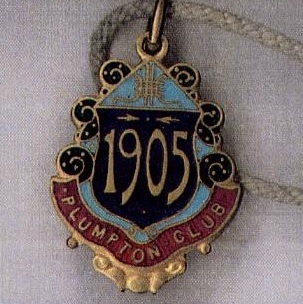 By 1895 the course was becoming widely accepted and increased its meetings to six. 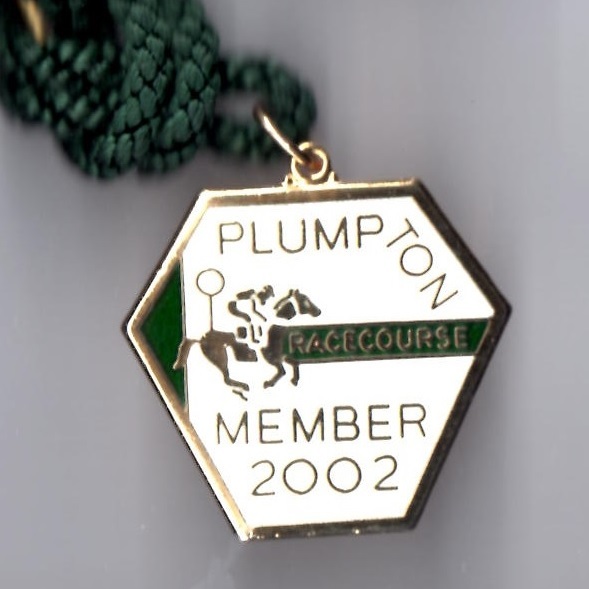 In April 1901 the annual Southdown Hunt races, later associated with Lewes racecourse, were held at Plumpton for the first time and continued to be staged there until the outbreak of the First World War in 1914, although no meeting took place in 1913. 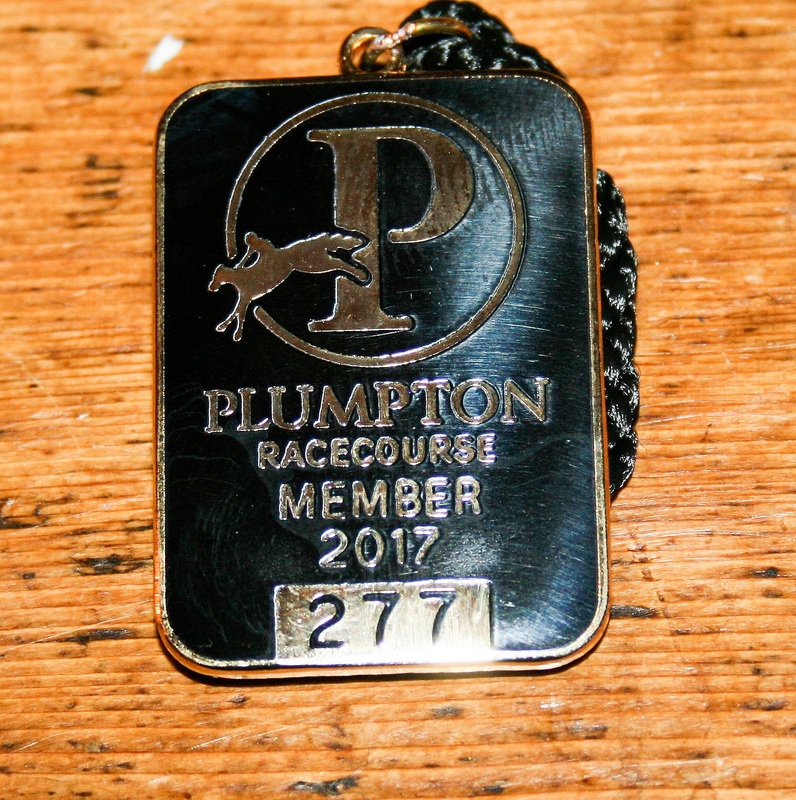 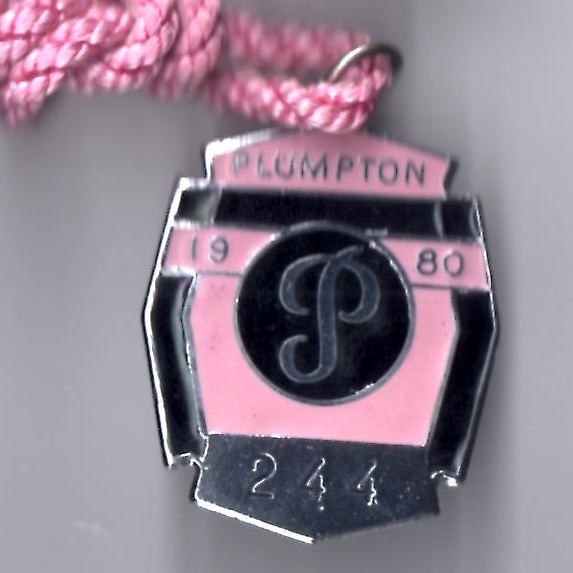 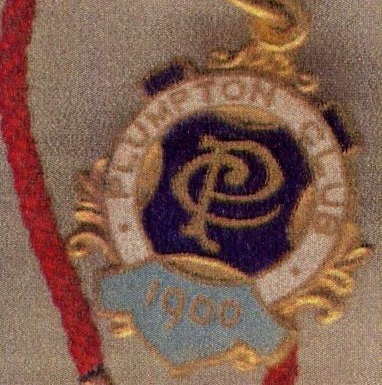 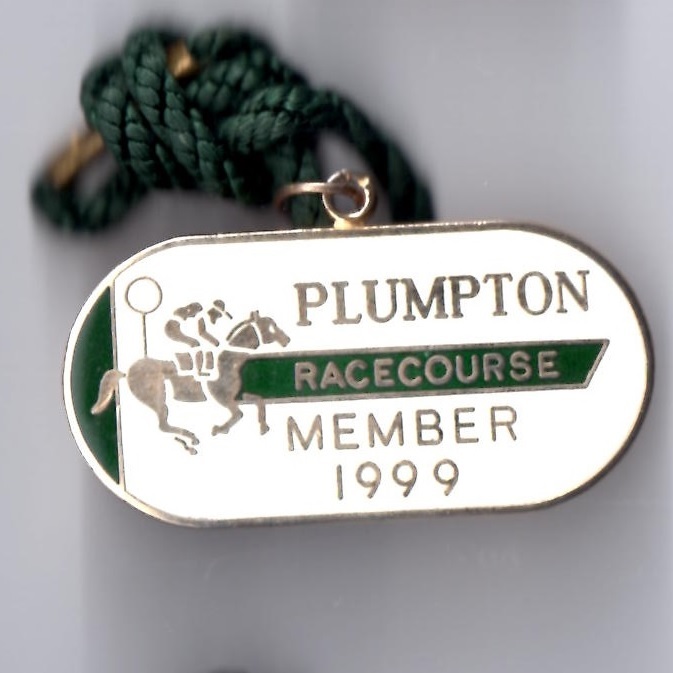 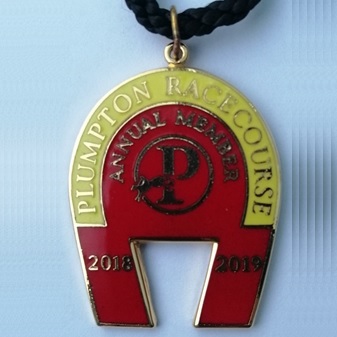 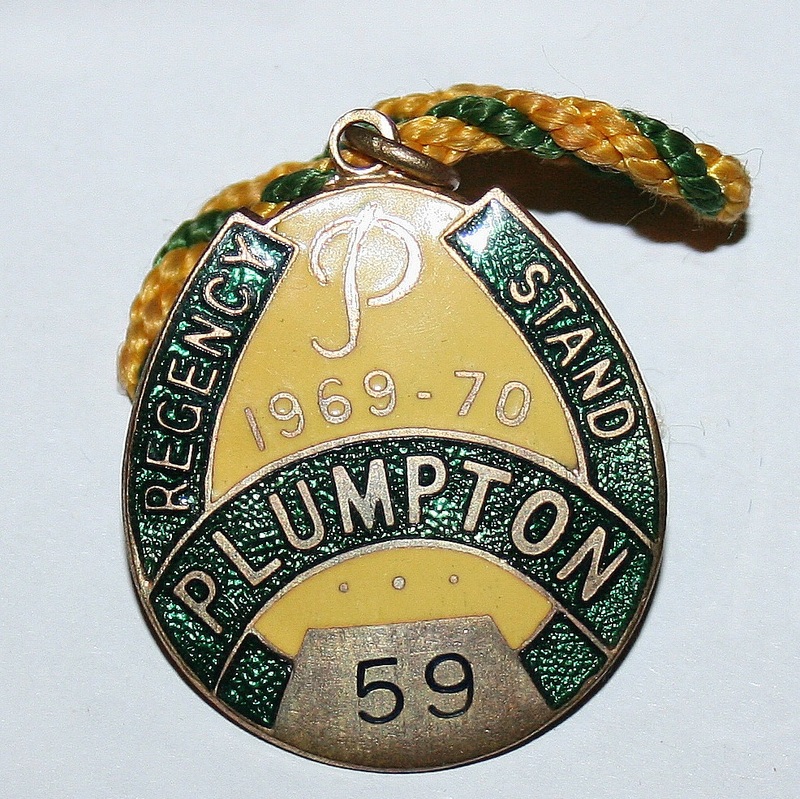 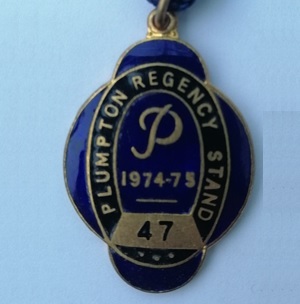 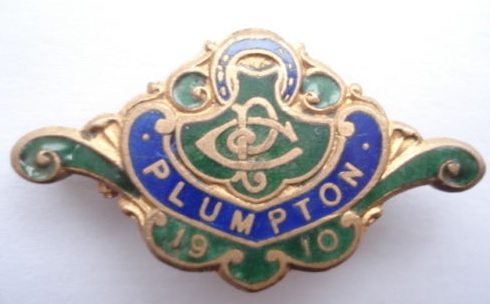 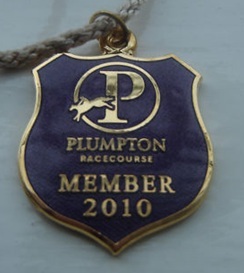 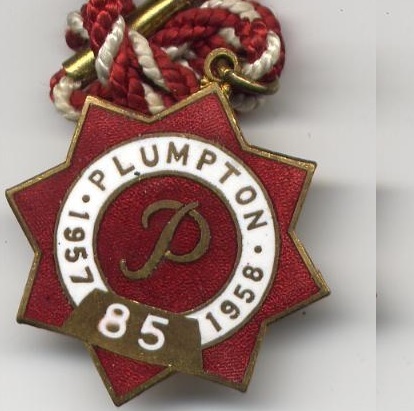 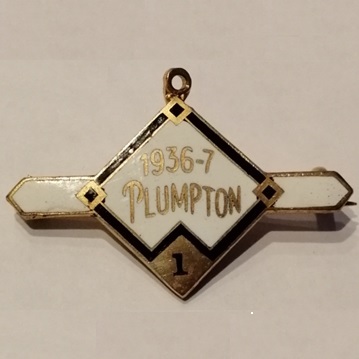 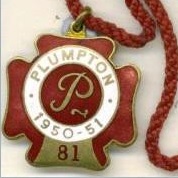 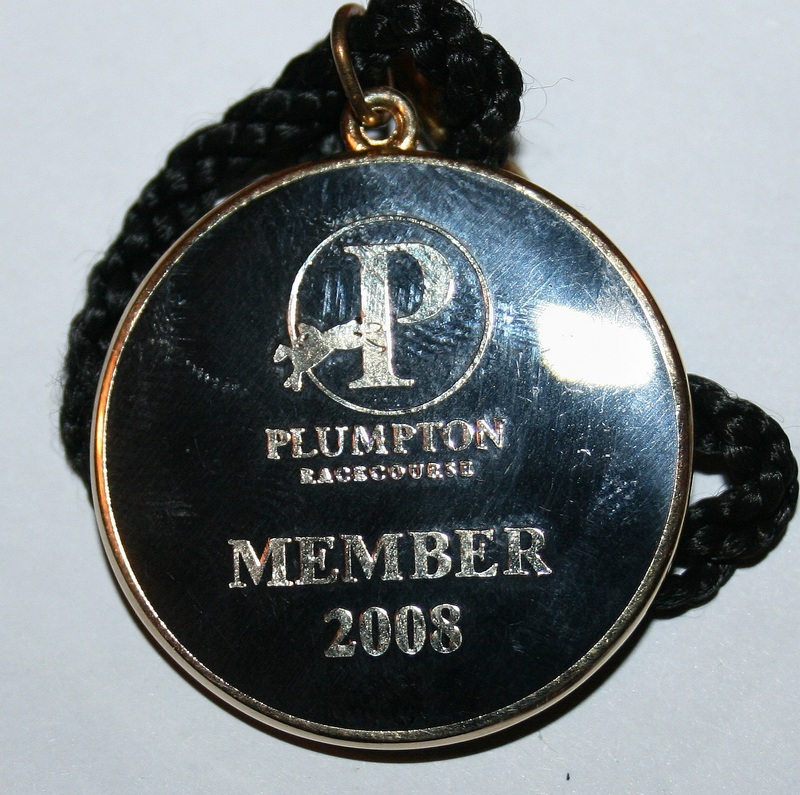 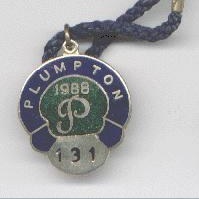 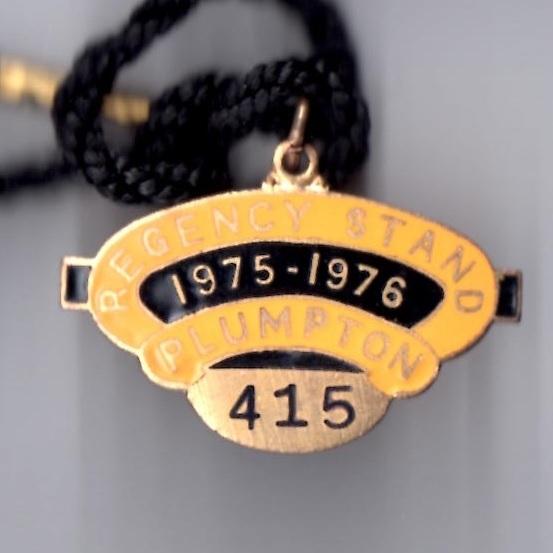 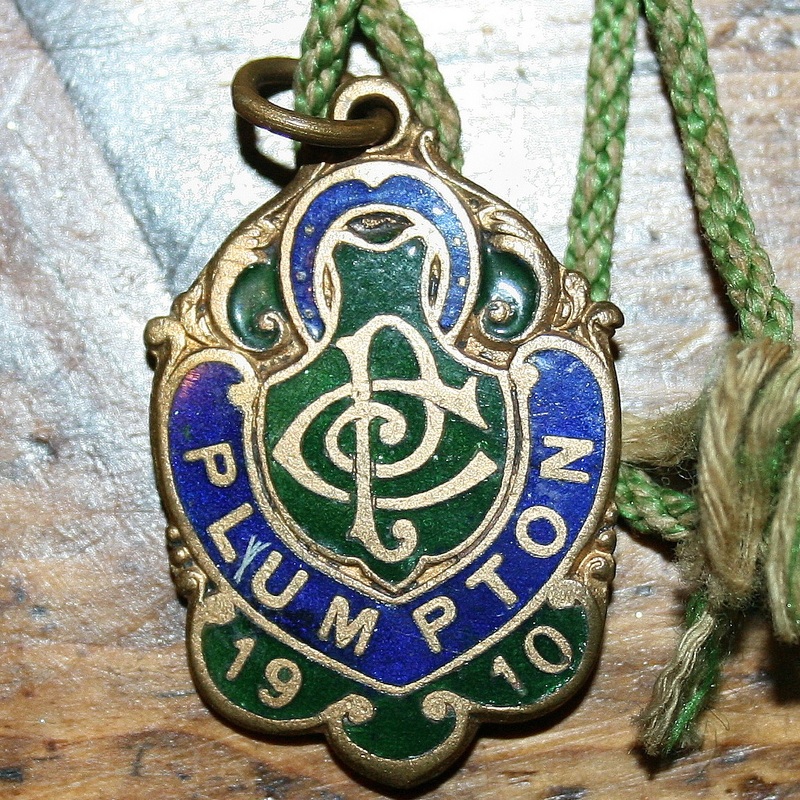 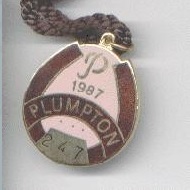 Plumpton Racecourse Limited was formed in April 1902 and the course erected its first grandstand in 1904, albeit transferred from Northampton racecourse. 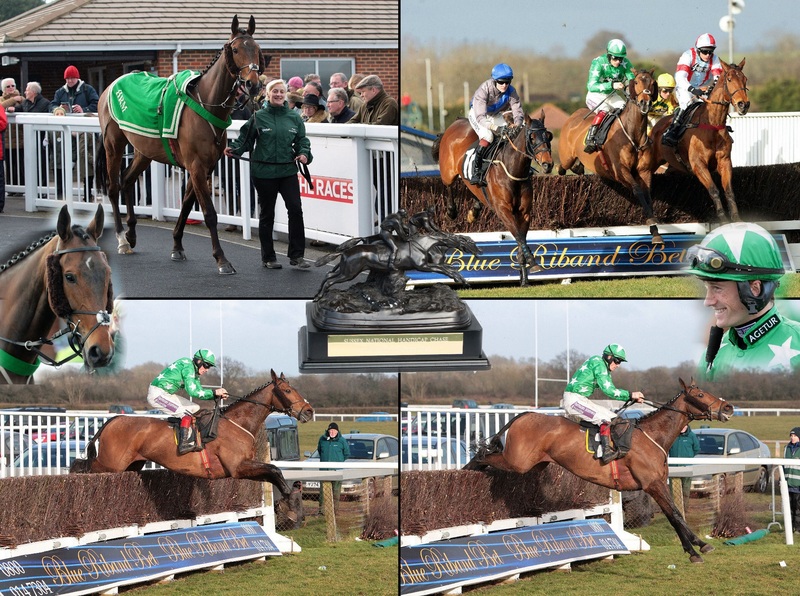 A remarkable event took place at the racecourse in February 1905 when Sea Log and Wild Gander ran a dead heat in the Goring Selling Hurdle. 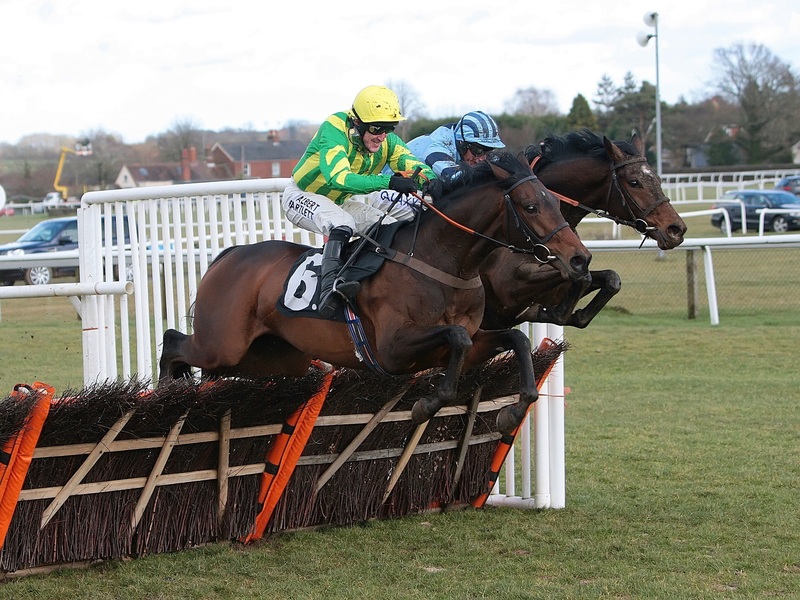 What made this remarkable was that Wild Gander returned to the course in April to contest the Uckfield Selling Hurdle and dead heated for a second time, but this time with Cripplegate. 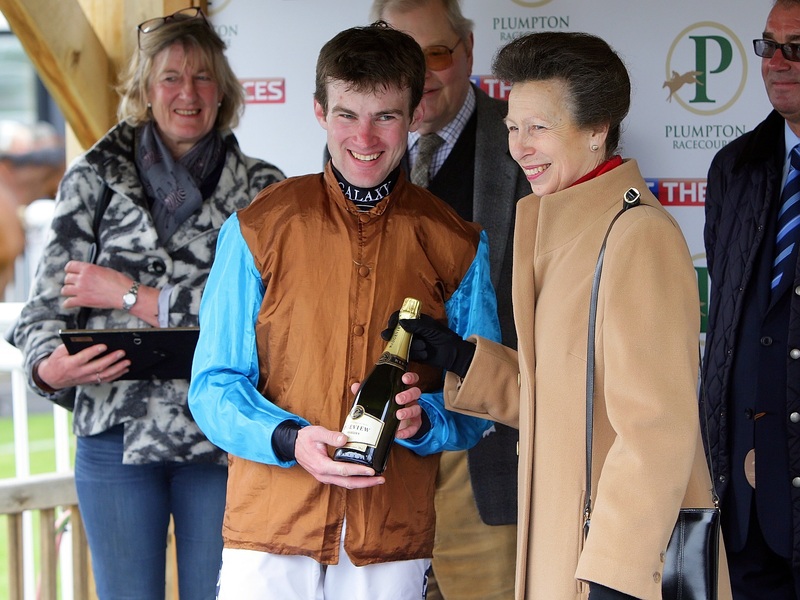 The Queen Mother enjoyed her first winner at the course when Super Fox was triumphant in the hands of Clive Chapman on Wednesday 15th April 1963. 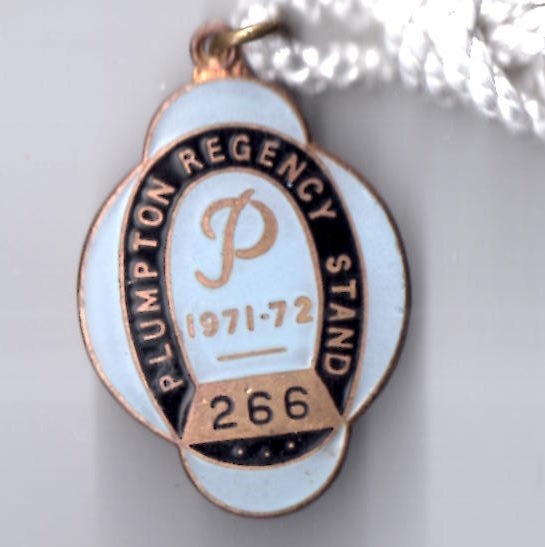 Over the next 25 years a number of new facilities were opened; the Regency stand in 1967; Tatterstalls and the Silver ring amalgamated in 1973; Sir Ian Trethowan opened the Southdown Stand in 1987. 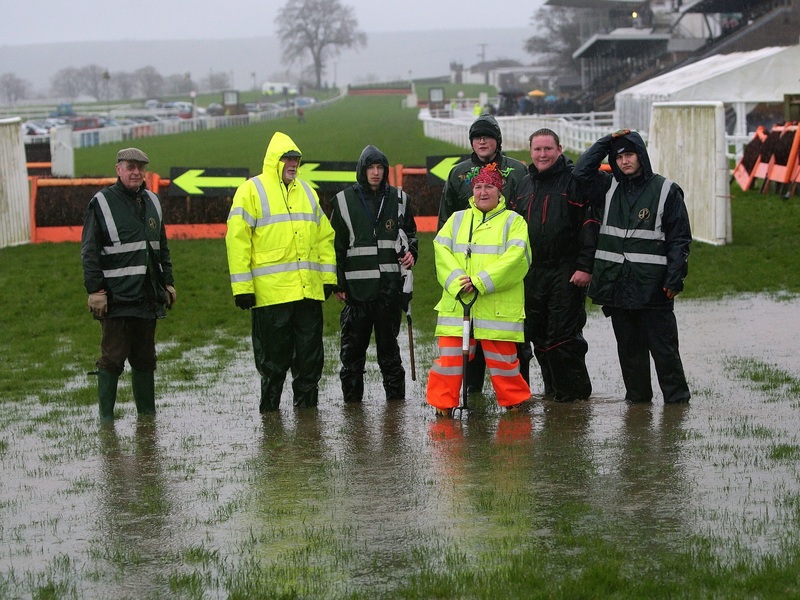 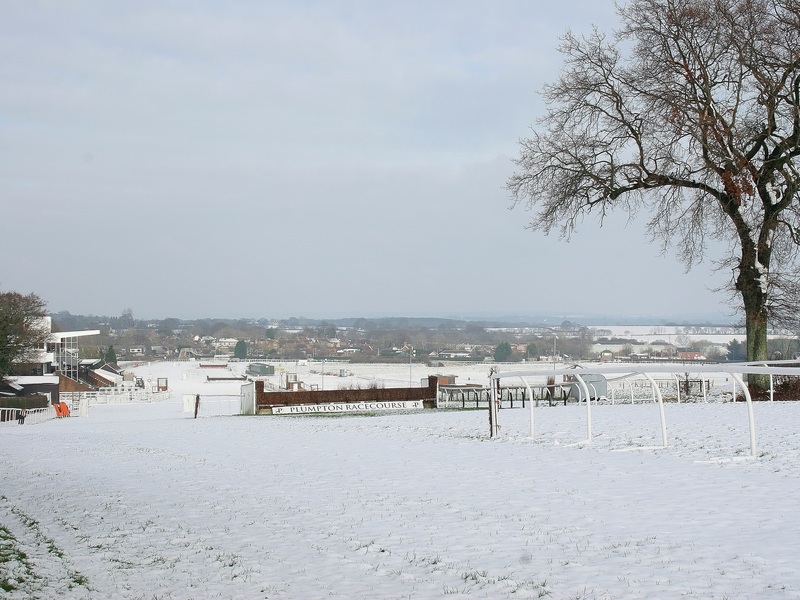 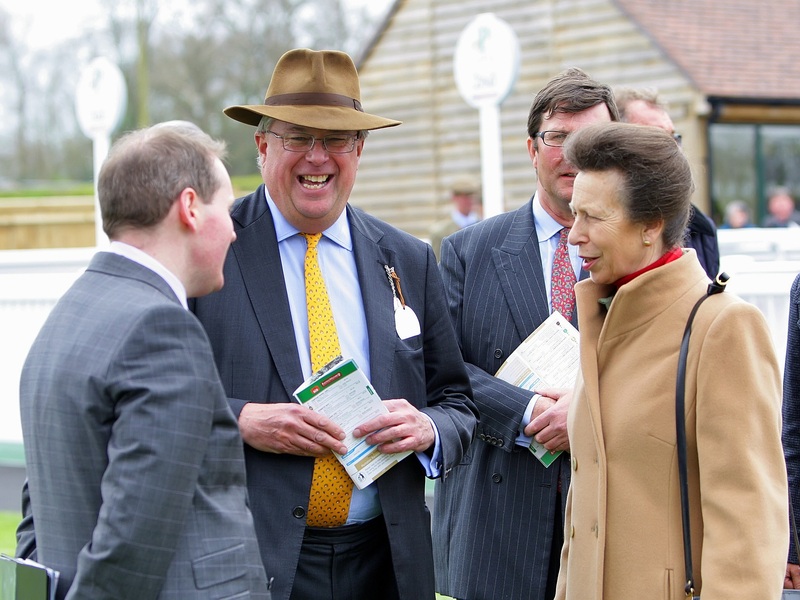 Currently the course hosts 16 fixtures annually, the highlights of its racing year being the Sussex National over 3 miles 5 furlongs (3 miles 4 furlongs and 105 yards) in early January, and the Sussex Champion Hurdle over 1 mile 7 furlongs and 195 yards in early April. 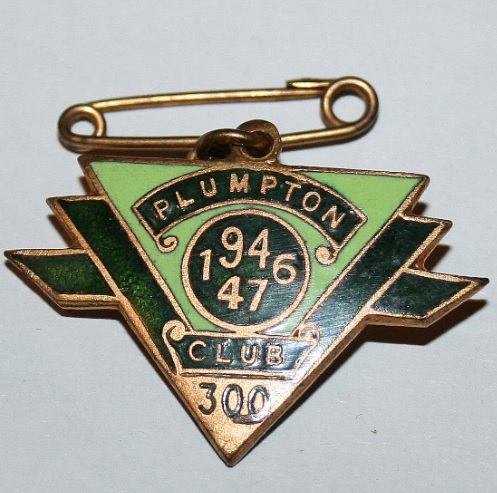 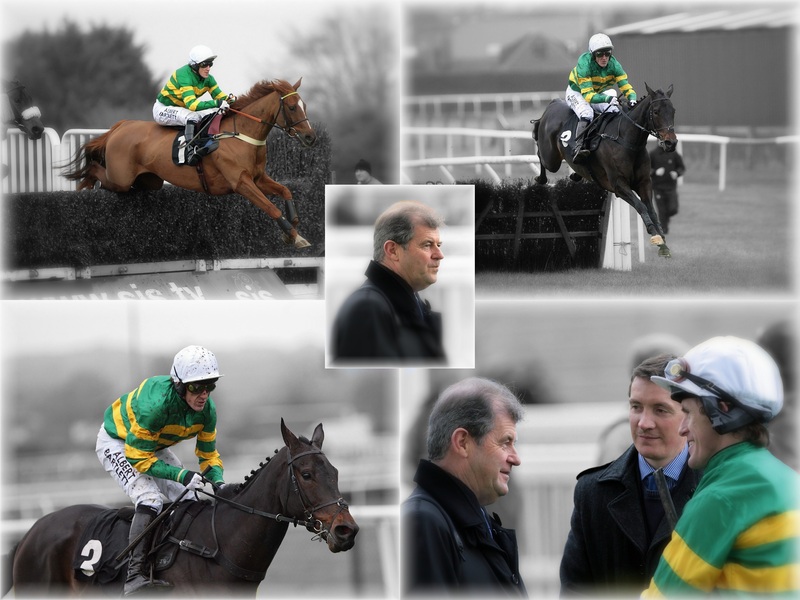 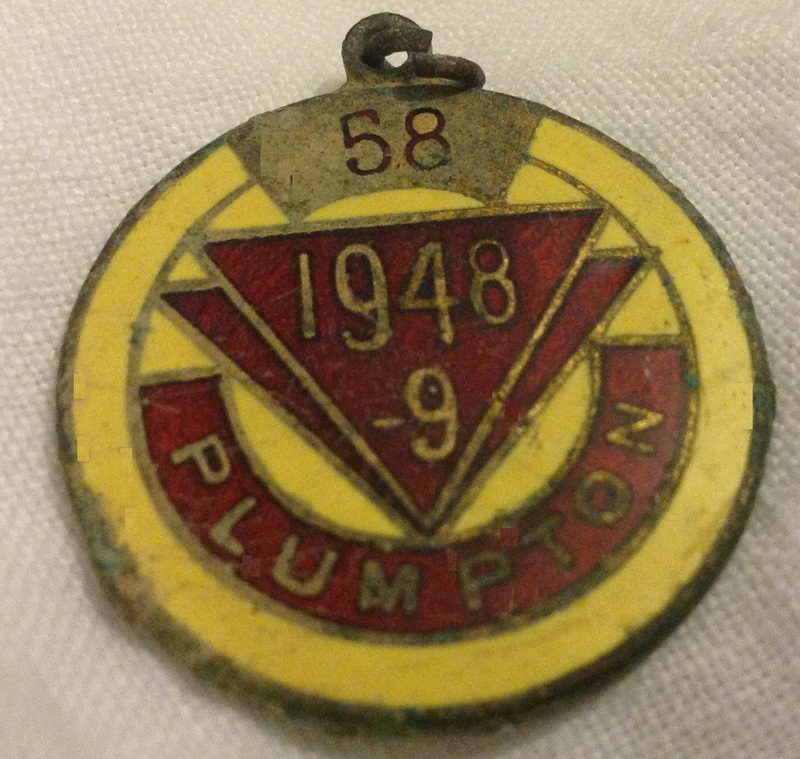 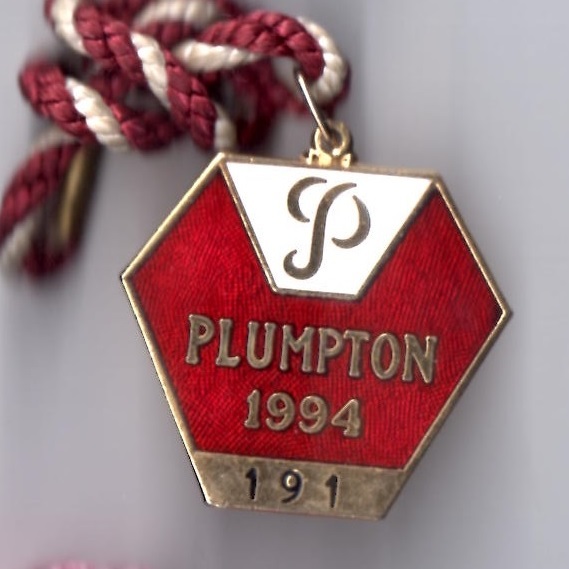 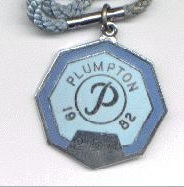 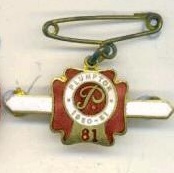 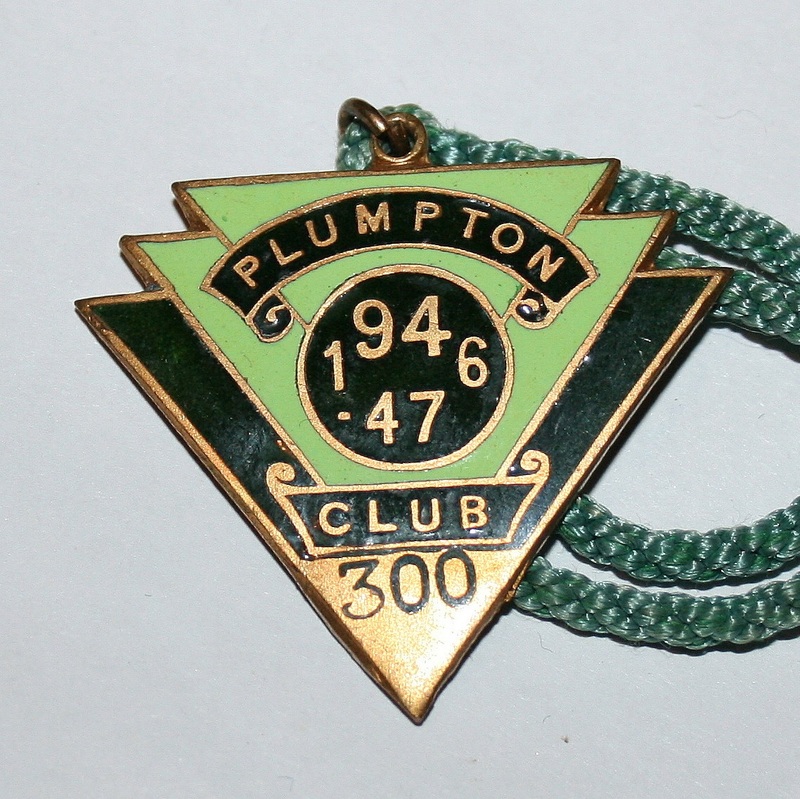 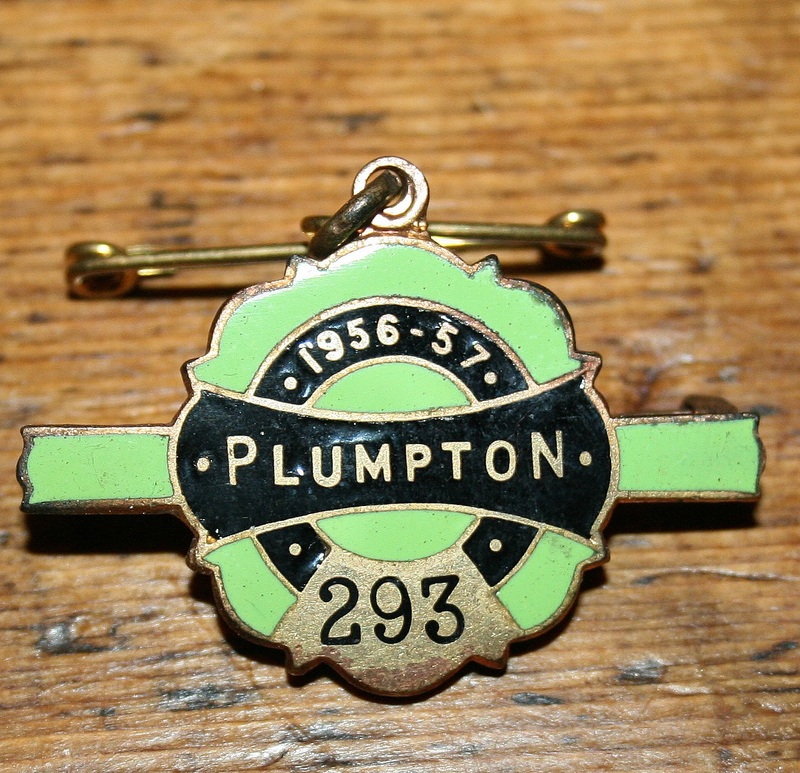 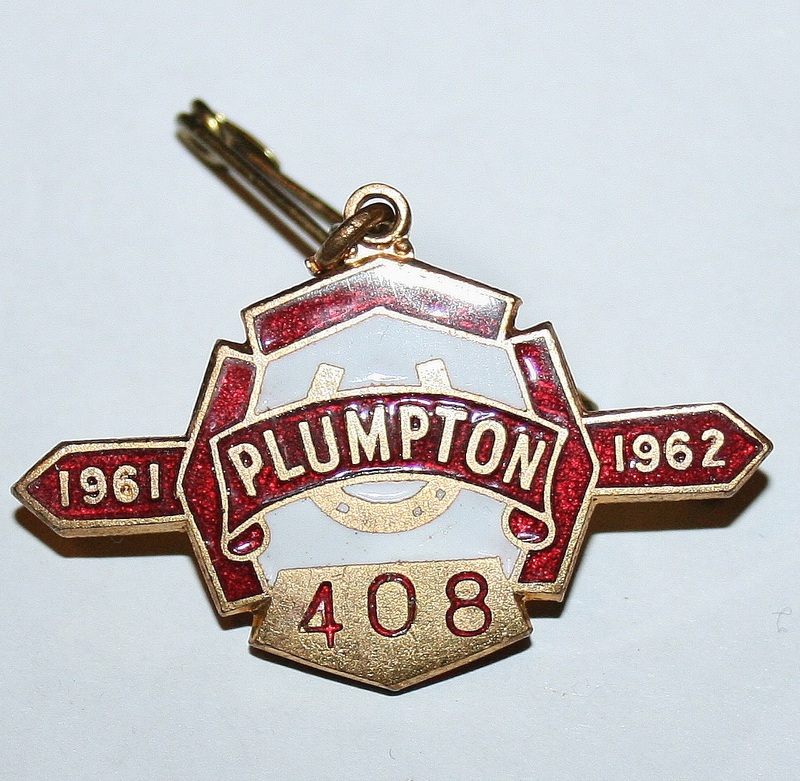 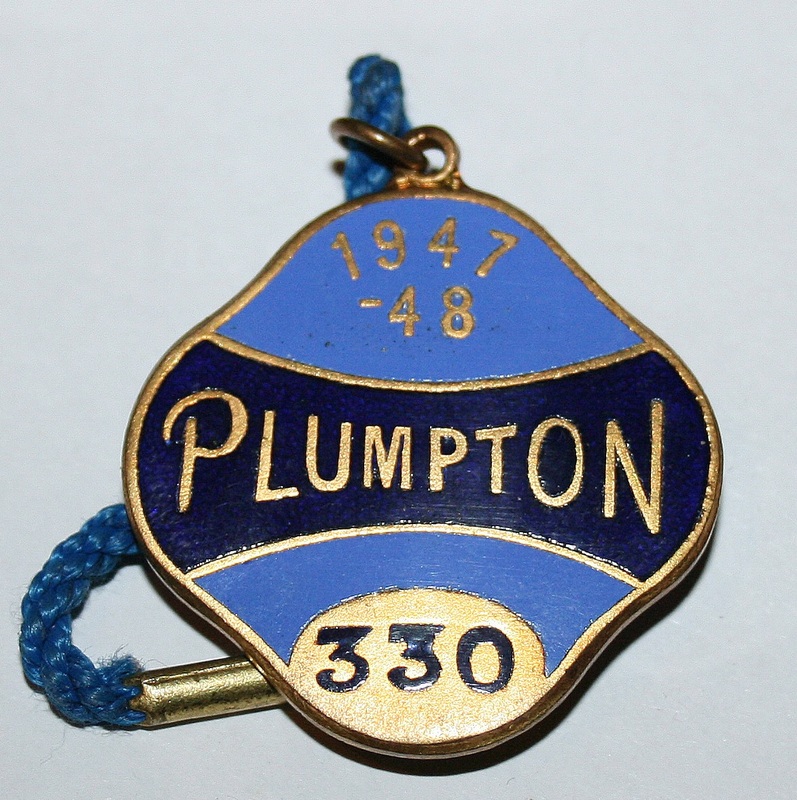 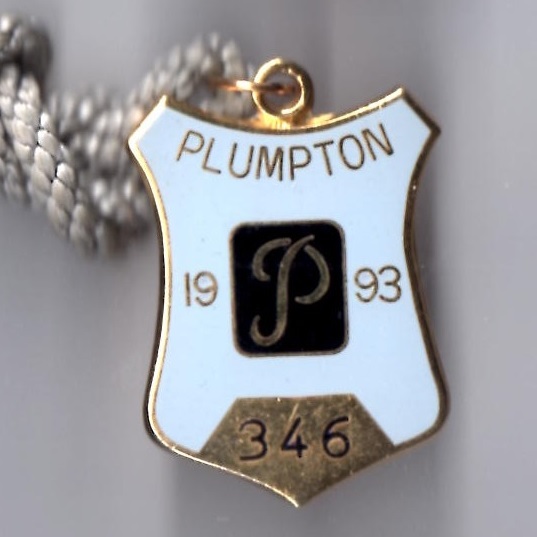 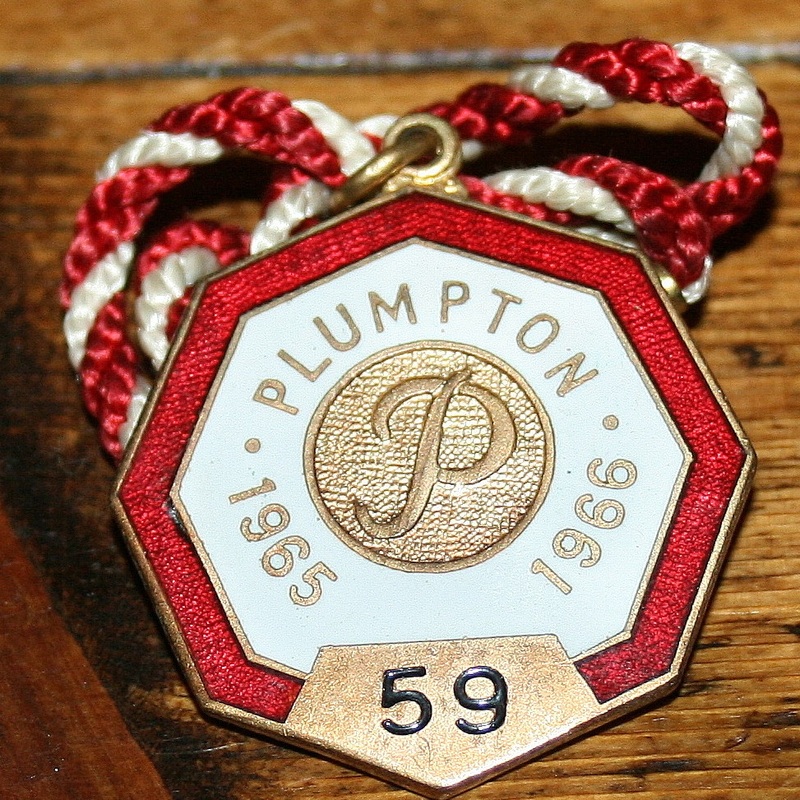 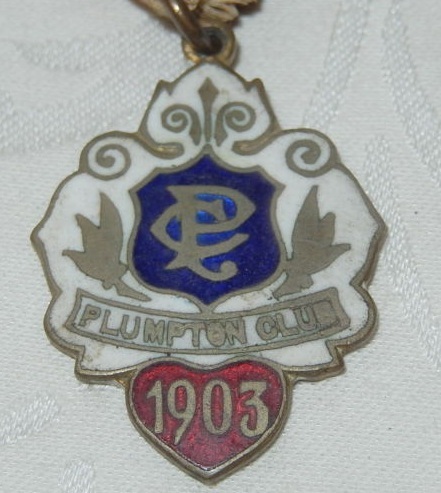 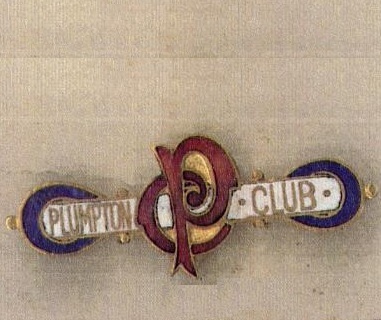 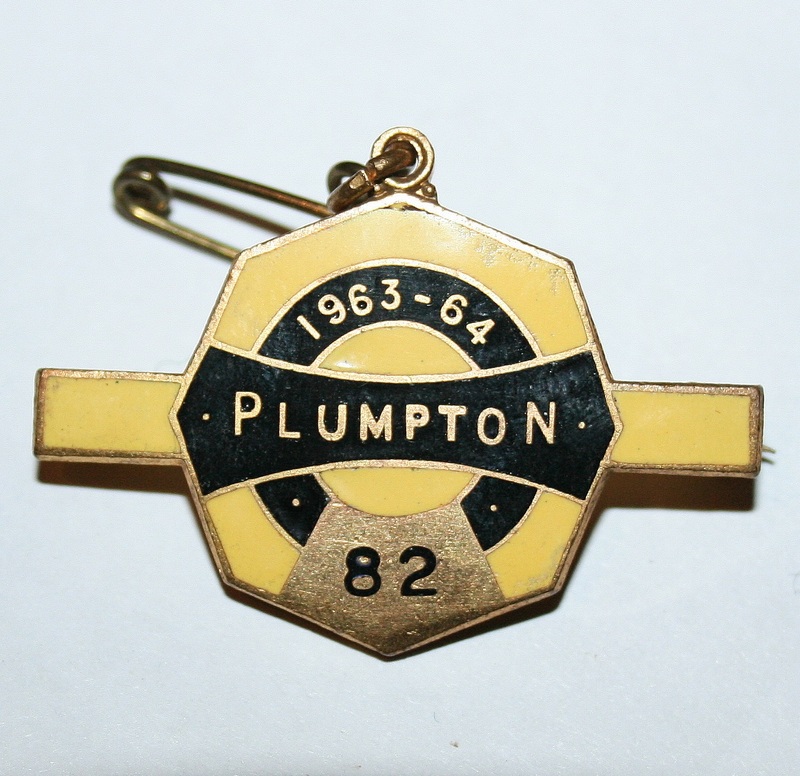 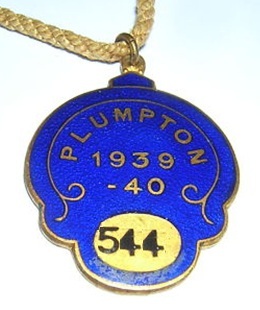 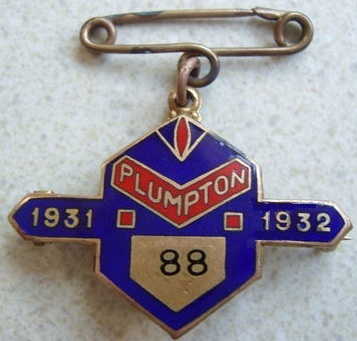 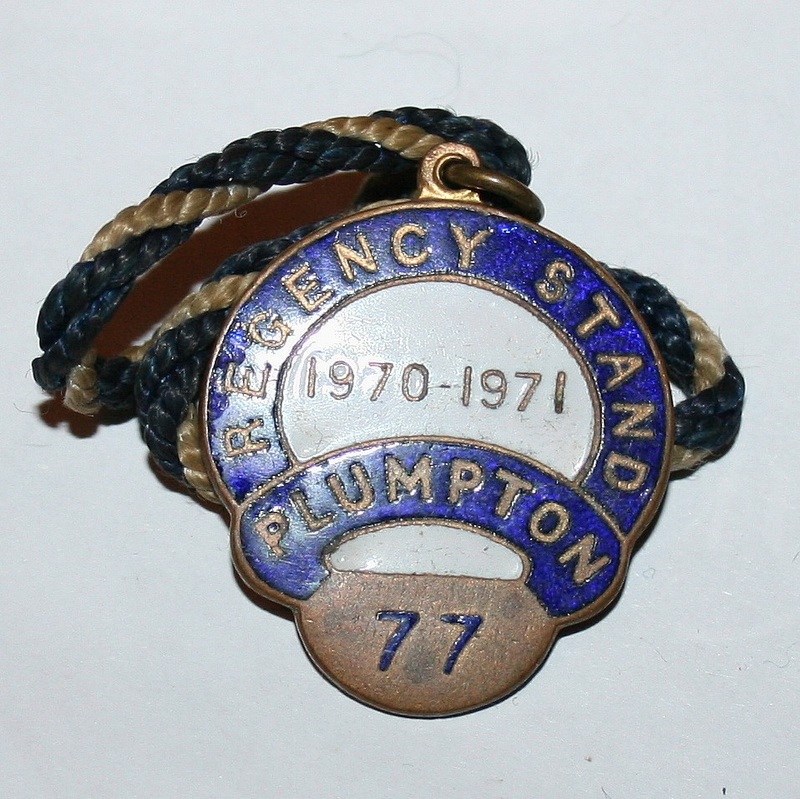 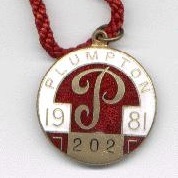 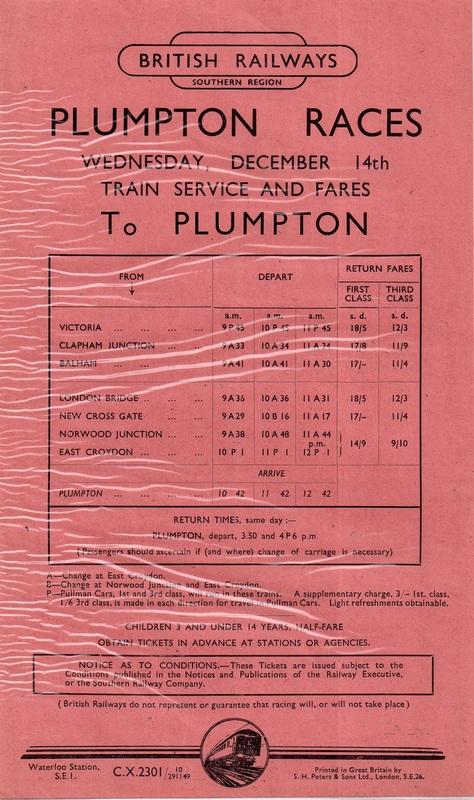 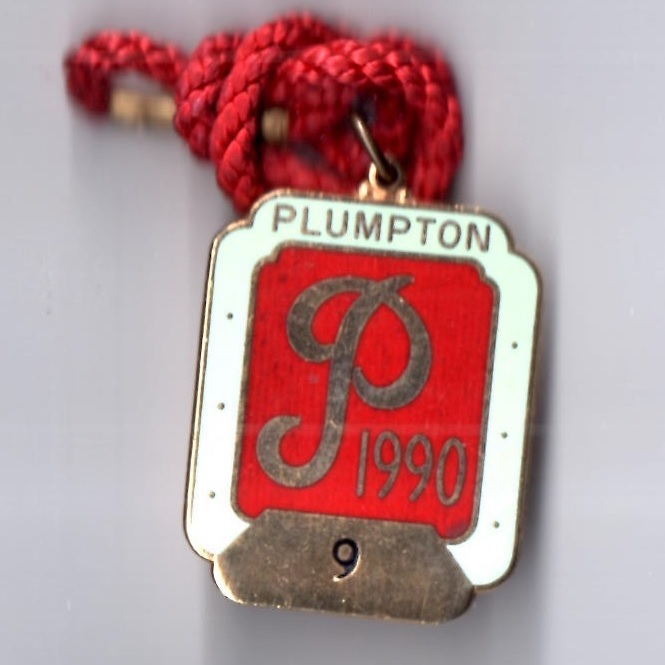 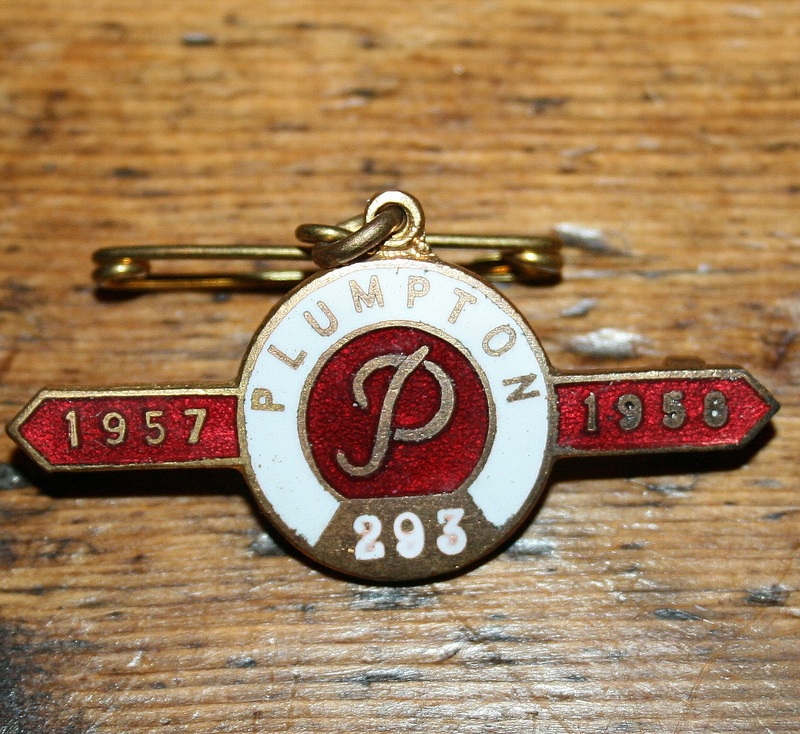 Plumpton continues to thrive today, whereas nearby Eastbourne closed its gates for the final time in 1875. 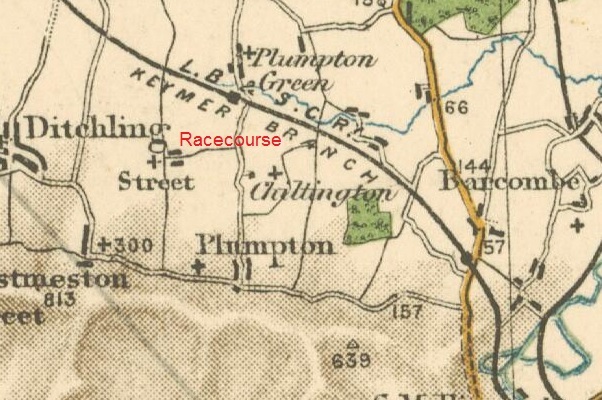 Although the first time the Sporting Magazine reported racing in the Sussex town of Eastbourne was on Monday 17th December 1839, there are earlier records which suggest racing was taking place well over a 100 years before this date. 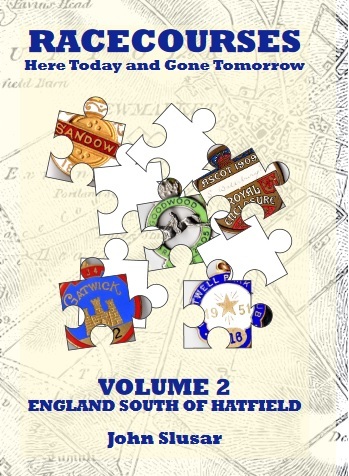 The ‘County History of Sussex’ recorded that ‘East Bourn’ had a meeting in 1729 at which Plates of £10 and £25 were contested. 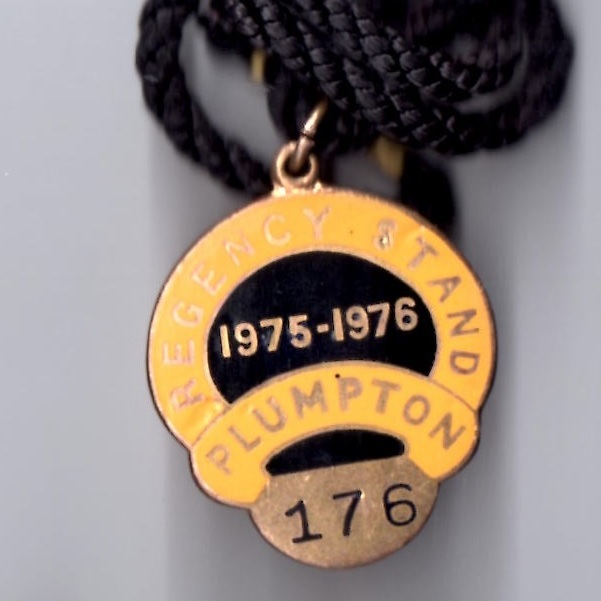 In 1737 the old Eastbourne meeting was held on Bullock Down for the last time until 1839, when a temporary revival took place. 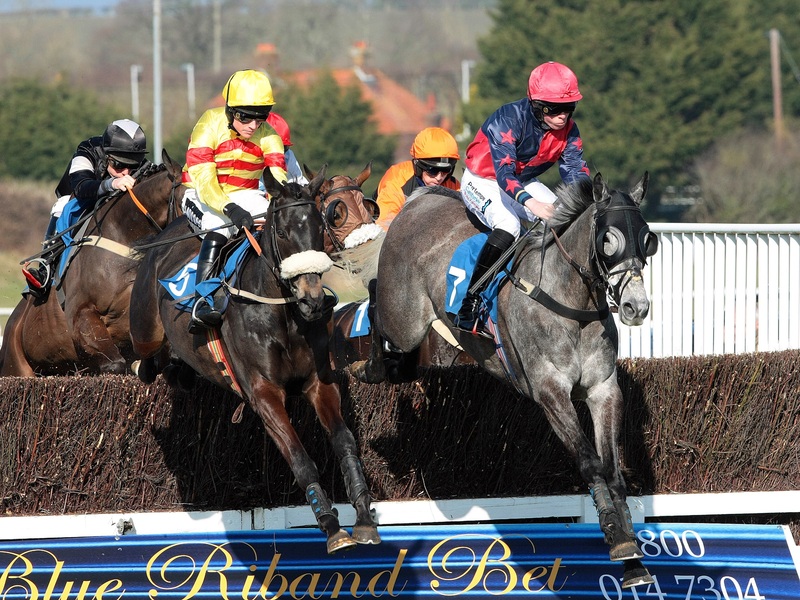 From 1866 the Eastbourne Hunt Flat and Hurdle Races were held until 1875. 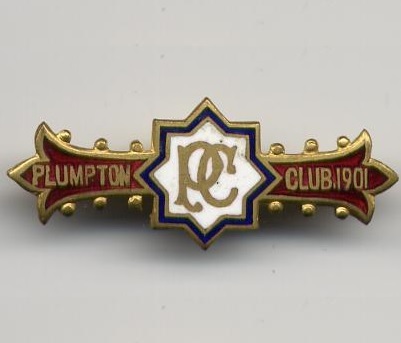 The final meeting took place on Monday 10th May 1875, after which the Duke of Devonshire refused permission for his land to be used again for racing. 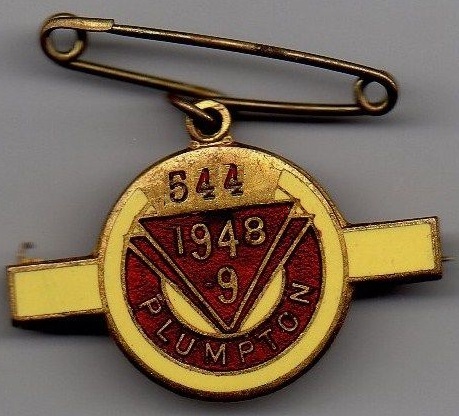 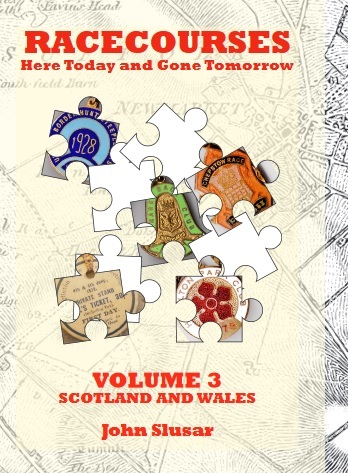 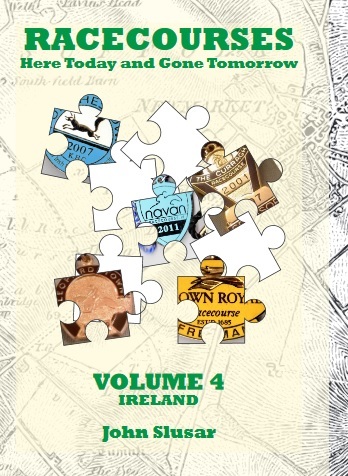 With grateful thanks to Nick and Jackie Redman for many of the badges and all of the photographs shown on this page. 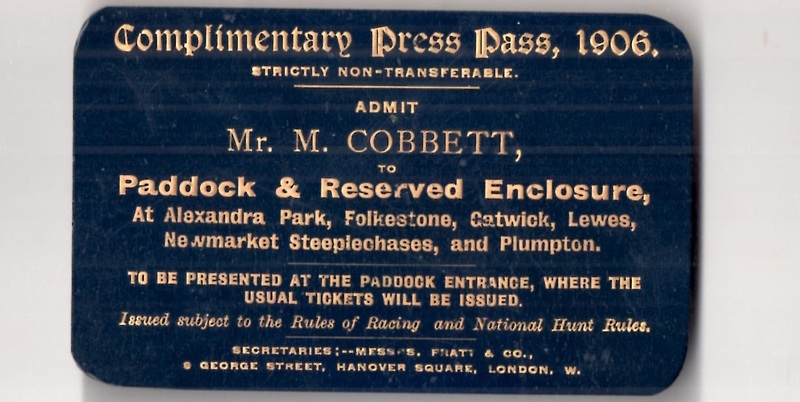 The scan opposite is of a rare 1906 Press Pass for Mr M Corbett who would have reported on the first 2 day meeting of the season held on Friday 12th and Saturday 13th January 1906.